Ever run 200 miles for a beer? 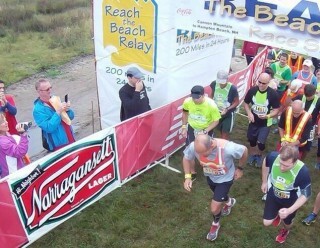 Teams in the Reach The Beach Relay in Mass did this weekend. 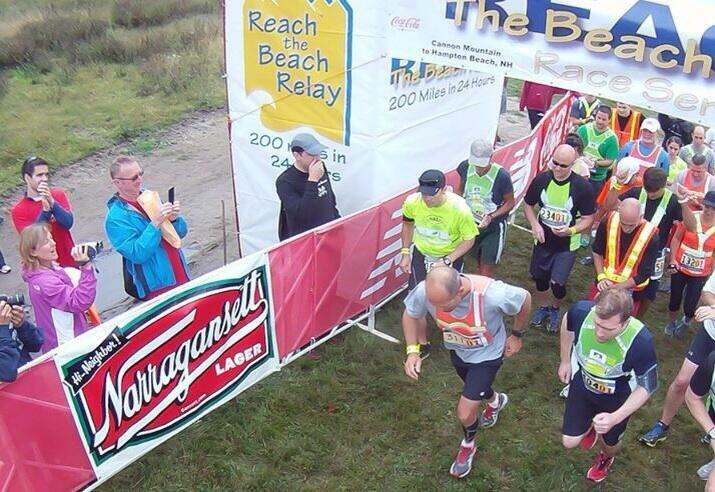 They ran from Cannon to Hampton Beach from Friday to Saturday. 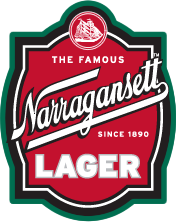 ‘Gansett set-up a beer garden at Hampton and poured cold, refreshing drafts for the runners. 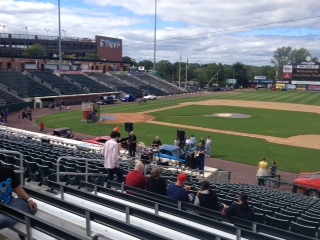 Check out RTBRelay.com to see when they’ll be posting the results. Congrats to all the participants and we’ll see everyone in the next one. Thanks to the team, Sharks w/ LaserBeams, for the above photo. 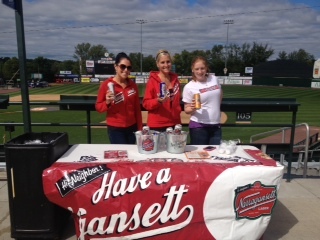 ‘Gansett was at the Lowell Spinners’ Brewfest this weekend held at their ballpark. 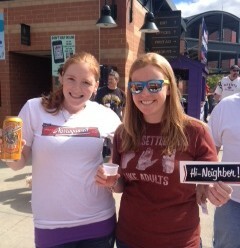 The ‘Gansett Girls poured samples of our Fest and Lager. 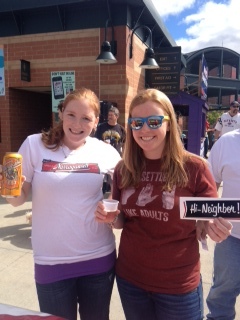 Just about everyone there stopped by to say Hi Neighbor. 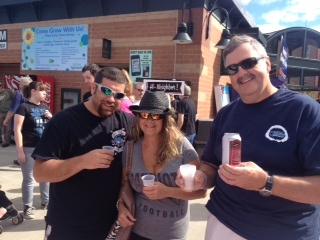 They particularly enjoyed our Fest brew.